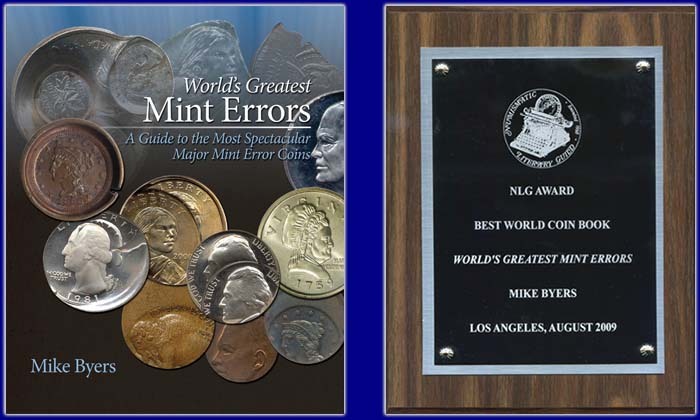 This is a unique and spectacular mint error, a proof pattern off-metal. 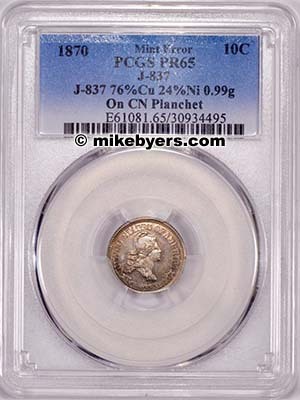 It was struck on a copper nickel planchet instead of a silver planchet. It's composition is 76% Cu and 24% Ni, which is copper-nickel. It weighs .99 grams. PCGS certified it Proof-65. 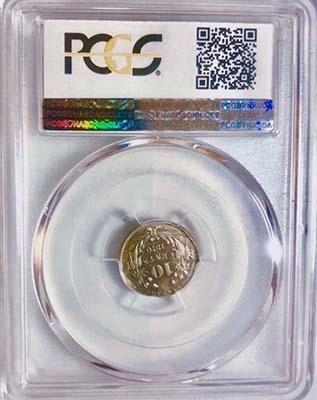 The planchet was smaller than the intended size and was also broadstruck. 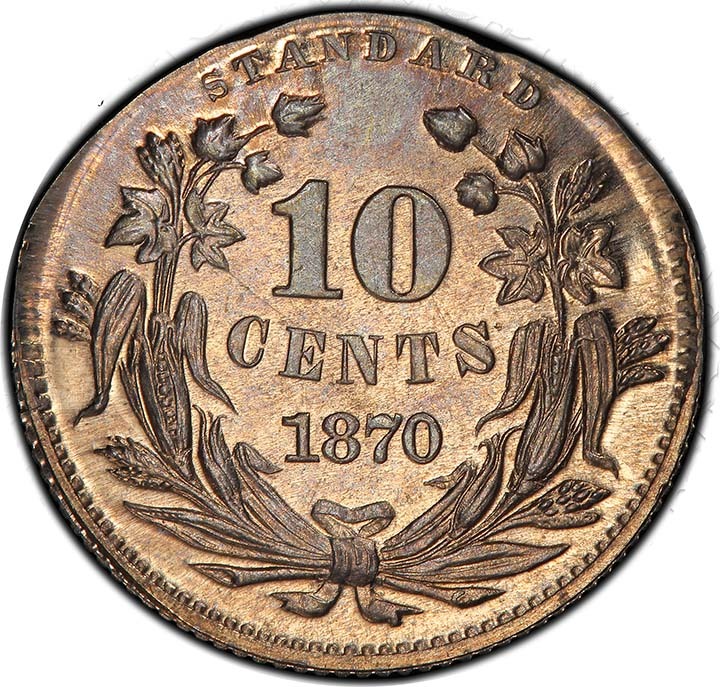 It is the only known copper-nickel Standard Silver Dime in the entire 1869-1870 series, from Judd #837 through Judd #872. The official Standard Silver Dimes were struck in silver, copper and aluminum. 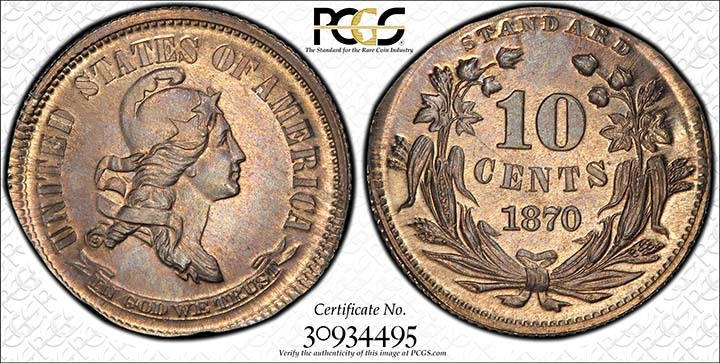 USPatterns.com states that it is unique and was struck on misrolled nickel 3¢ planchet stock, or on the 1¢ stock for the 1869 pattern cent in copper nickel, Judd #669. 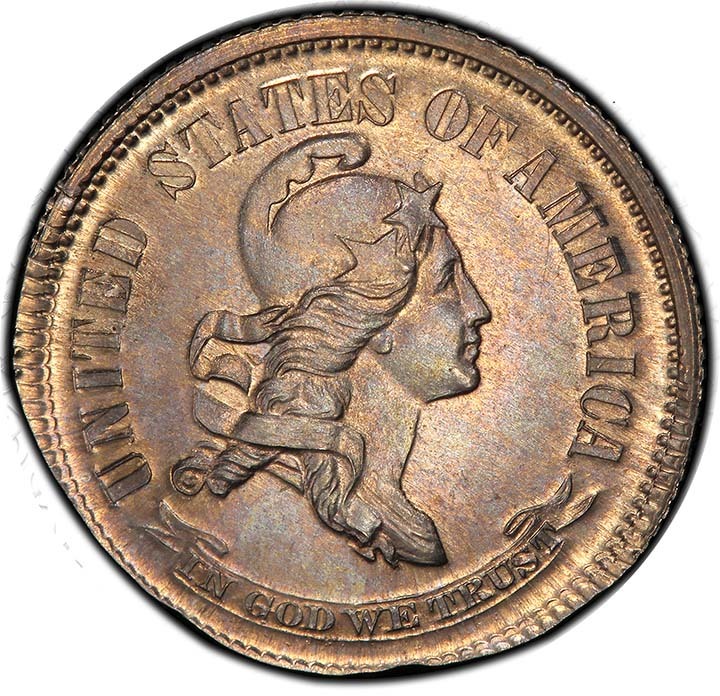 This unique proof off-metal U.S. pattern struck in copper nickel was in the world-famous Simpson Pattern Collection. 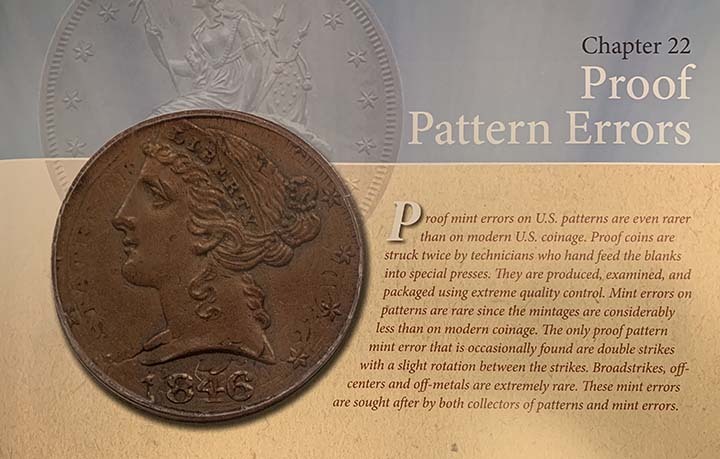 It belongs in a major U.S. Mint Error collection or a U.S. Pattern collection and is one of the most fascinating proof pattern mint errors known.